PAWUIC’ is comprised of federal, state, county and city agency representatives working together with volunteers, businesses, and community leaders. PAWUIC’s purpose is to mitigate the threat of wildfire, help communities gain and maintain FireWise certification,and to promote forest health in the greater Prescott area, and Yavapai County. Members from Prescott National Forest, Bureau of Land Management, Arizona Forestry Division, Prescott Yavapai Tribe, Yavapai County Emergency Management, Central Yavapai Fire District, Prescott Fire Department, eleven other smaller fire departments, homeowner associations (HOA) and private citizens meet monthly to report and coordinate their activities to reduce the wildfire danger in the area. Meetings are held on the first Thursday of every month (except January and July), at 8:00 a.m. in the Freeman Building at 840 Rodeo Drive, Prescott Az. Public is always welcome. SERVING PRESCOTT AND THE SURROUNDING AREA. Your community support is appreciated. 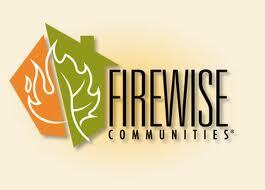 The Prescott Area Wildland Urban Interface Commission (PAWUIC) is always seeking more volunteers to assist with reducing the threat of wildfires and educating our local residents about how the smallest changes around their homes can make a big difference. Come join us and learn from local agency experts, hear the community success stories and help keep Prescott safe. To help maintain the quality of the environment and of living in the Prescott area by providing leadership and continuity in the management of wildland/urban interface issues.